Start the new year with a wide array of free and fun events. The month of January has in store a horde of free festivals which will ensure oodles of fun for the locals and tourists. Federation Square will be abuzz with the flamboyant colour and euphonious sounds of the exotic Latin Summer Festival on 9 January 2016. Latin American musical and dance performances will sweep festival-goers off their feet and mouth-wateringly good food will woo their tastebuds. More information can found here. 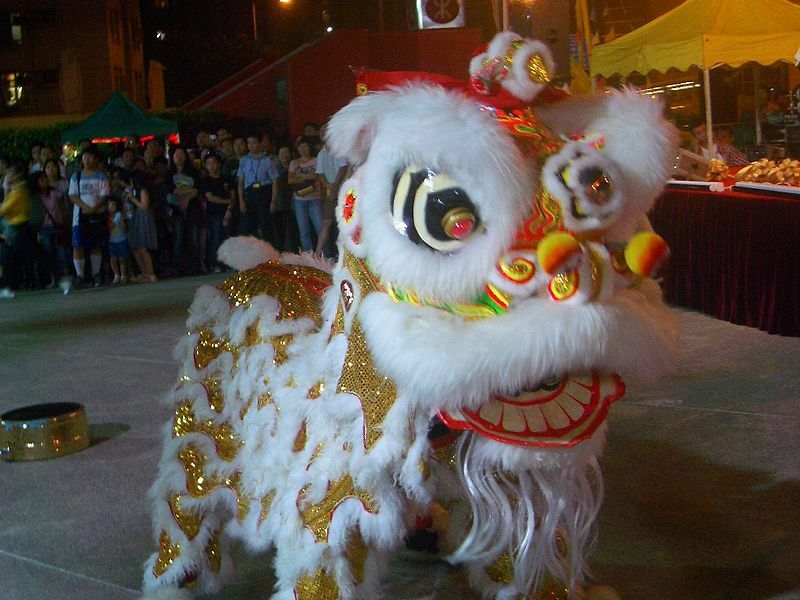 Lunar New Year Festival will be hosted on 10 January 2016 at Alfrieda Street, St Albans. The festivities will inspire. Lion dance, market stalls and food stalls will cater for the needs of music-lovers and foodies. Go here to discover more information. The International Street Food Festival will transform Melbourne into a foodie heaven from 15 January 2016 to 17 January 2016. Federation Square will play host to this fabulous festival which will feature aromatic and delectable culinary creations from all corners of the world and musical and dance performances. Click here to find more details. Wominjeka Festival will run from 15 January 2016 to 17 January 2016. An exquisite exhibition, robust discussions and story-telling are some of the highlights of the impressive itinerary. Visit this Weekendnotes article for more details. The location for the festival will be Footscray Community Arts Centre at 45 Moreland Street, Footscray. Kids Summer Festival will be organised from 16 January 2016 to 26 January 2016 at NGV International and Ian Potter Centre. This festival will be a kids' paradise with a huge range of arts and crafts activities available to the kids for free. Find more information by visiting this Weekendnotes article. From 16 January 2016 to 17 January 2016 the 7N Pier Promenade, Frankston Waterfront will be the platform for the Frankston Waterfront Festival. The festival will kick off at 11am and will include rides, amusements, water sports and more. Numerous food stalls will be serving tasty treats while market stalls will be selling local products. The main drawcard of the festival will be the fireworks display at 9:45pm on 16 January 2016. Learn more by going here. The Midsummer Faerie Rade will be hosted on 17 January 2015 from 1:30pm to 5:30pm. The initial gathering will take place in the Treasury Gardens at 1:30pm and will progress to a rade at 2pm which will navigate through the streets and laneways of Melbourne CBD. Visit this article to find out more. Australian Open Festival will be held at Birrarung Marr, Batman Avenue from 18 January 2016 to 31 January 2016. This festival will showcase Melbourne's fine dining options. Coinciding with the Australian Open event this festival will feature amazing live entertainment, delicious food and funky activities. Discover important nuggets of information by going to this Weekndnotes article. To mark the Australia Day on 26 January 2016, the Australia Day Flag Raising Ceremony will be held at the Melbourne Town Hall at 10:30am. Learn more by clicking here. Australia Day will be celebrated with great pride on Dromana Foreshore on 26 January 2016. A free community breakfast will herald the Australia Day celebrations. A plethora of kids' activities will keep the little ones busy. There will also be live entertainment and various exhibitions. Become privy to more information by clicking here. Balla Balla Community Center at 65 Berwick-Cranbourne Road, Cranbourne will be the setting for the Cranbourne Australia Day Celebrations on 26 January 2016. This event will incorporate a free sausage sizzle, food tastings, music, dancing, drumming, exhibitions and kid's activities. Click here to learn more. Please note that entry is free to all these festivals. However, prices will be charged for anything you purchase at these events. If you have found this article useful, please share it with family and friends on Facebook. Highlight the dates on your calendar and have a fantastic month of January with near and dear ones. It's great to see things people can take their families to without it costing a fortune.